YouTube has greenlit the docuseries Retro Tech starring YouTube creator Marques Brownlee that is based on his popular series Dope Tech. (Factual, 8x60 min.) Delving into the last great mystery of WWII, investigators and engineers, using the latest technology, search for an immense treasure buried by the Japanese in the Philippine jungle. (Drama, ongoing) Yıldız and Zeynep are two sisters who are very close but have very different life goals: Zeynep wants a successful career while Yıldız is looking for a rich man who would save her from her low-income life. (Factual, 6x45 min.) Sir Tony Robinson takes a whirlwind journey around the globe on some of the world’s most historical railways, learning local traditions and histories along the way. (Factual, 12x30 min.) Offers a rare glimpse into the eyes and minds of some of the world’s best photographic storytellers, all in 4K. (Series, 60x60 min.) A mafia boss decides to change his life, get away from crime and become an honest man. Recapping the highlights of MIPTV. A look at the major themes and news stories from MIPDoc. The format stories and trends that made headlines at MIPTV and MIPFormats. Some of the major drama stories that emerged from MIPTV. Top kids' stories that came out of MIPTV. This email was sent to you by World Screen. To ensure that it is not labeled as spam, please add worldscreen@worldscreen.com to your address book. If you would like to unsubscribe from World Screen Newsflash, please go here. 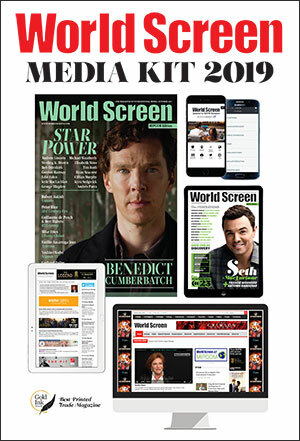 If you were forwarded World Screen Newsflash and want your own copy, or would like to sign up for any of our other newsletters, please click here. For other subscription questions, please contact Dana Mattison. World Screen Newsflash is a World Screen publication. No part of World Screen Newsflash can be used, reprinted, copied or stored in any medium without the publisher's authorization.